Cobalt Studios is set to offer up a unique insight into Tibet and its ancient and sacred traditions on Sunday 17th September, with a journey to the spiritual Himalaya through mantra, meditative chants, and traditional Tibetan instrumentation. It’s a truly special collaboration and celebration of cultural diversity. BlackMoon1348 in collaboration with the Tibetan Tashi Lhunpo Monks… create a cinematic spectacle, bringing together the spiritual insight of Tibetan chants and mantras, the sound of the dungchen (Tibetan Longhorn) gyaling (Tibetan Oboe) and percussive ritual instruments with BlackMoon1348’s sub-harmonic drone and throat singing. 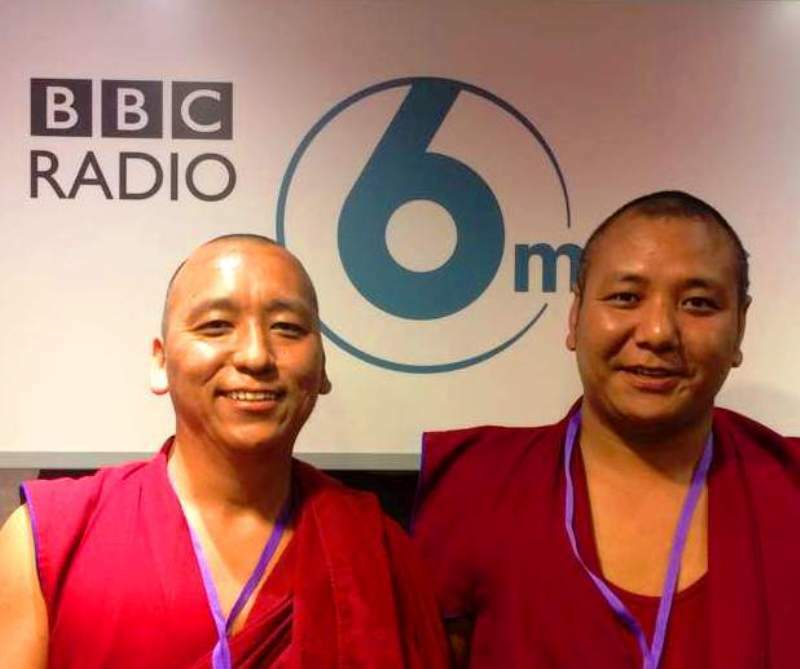 The Tashi Lhunpo Monks have performed at WOMAD, the Edinburgh Fringe and several festivals and events across the UK and the world, spreading knowledge and awareness of Tibetan cultural traditions. Their performances bring together sacred dance, music and prayer with traditional costumes and ceremonial masks. The Noize Choir is a performance ensemble that was formed in 2011 by Newcastle-based artists Lindsay Duncanson and Marek Gabrysch. The human voice is used in a fascinating way, free of the traditional restraints of the typical choral setting, language and musical notation. Tashi Llunpo Monks with Blackmoon1348 & Noize Choir are at Cobalt Studios, Newcastle on Sunday 17th September.